Future software will not merely respond to requests for information, but will anticipate the user's needs and actively seek ways to support the user. These systems will also manage cooperation among distributed programs. 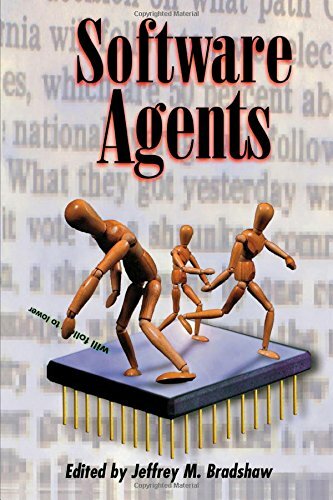 To describe the many roles of such software, researchers use the term agent.The essays in Software Agents, by leading researchers and developers of agent-based systems, address both the state-of-the-art of agent technology and its likely evolution in the near future. The introductory chapters in Part I present the views of proponents and a critic of software agents. The chapters in Part II describe how agents are used to enhance learning and provide intelligent assistance to users in situations where traditional direct manipulation interfaces alone are insufficient. The chapters of Part III discuss agent-to-agent communication and the use of agents to provide intelligent interoperability in distributed systems and the Internet.Contributors : JosÃÂ©-Luis Ambite, Ball, P. Benoit, Guy A. Boy, Jeffrey M. Bradshaw, Philip Cohen, Allen Cypher, S. Dutfield, Thomas Erickson, Tim Finin, Michael R. Genesereth, Kenneth R. Grant, Craig A. Knoblock, Kurlander, Yannis Labrou, Kum-Yew Lai, Brenda Laurel, Hector J. Levesque, Ling, Pattie Maes, Thomas W. Malone, James Mayfield, Miller, Nicholas Negroponte, Donald A. Norman, Pugh, Doug Riecken, Ben Shneiderman, Yoav Shoham, Skelly, David C. Smith, Jim Spohrer, Stankosky, Thiel, Van Dantzich, Wax, James E. White, J. Woolley.Distributed for AAAI Press. About: Future software will not merely respond to requests for information, but will anticipate the user's needs and actively seek ways to support the user.